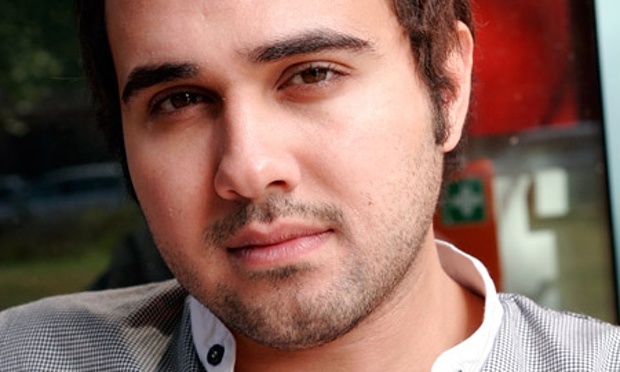 Egyptian author Ahmed Naji, jailed since February after being convicted of “violating public modesty” with an excerpt from his novel Use of Life, is launching a new appeal for release after the government agreed to review the cases of political prisoners. Two previous appeals have already failed, most recently in August, and Naji is reportedly in ill health. Use of Life is an experimental work that incorporates visual elements, including comics drawn by Ayman al-Zorkany. A 65-year-old reader claimed that an excerpt printed in 2014 in the state-owned Akhbar al-Adab newspaper caused him to have heart palpitations, a drop in blood pressure, and severe illness because of its references to sexual acts and drug use. In addition to Naji’s prison sentence, the newspaper’s editor Tarek el-Taher also received a fine equivalent to about $1,300. The latest appeal comes after public pressure forced President Abdel Fattah el-Sisi to form “a committee to review the cases of youth detained for non-violent ‘politically related crimes.’” Activist groups have been drawing up lists of prisoners whose cases should be examined by the committee. While we certainly hope for Naji to be released as soon as possible so he can receive proper medical treatment, supporters from other countries can still sign the Tahrir Institute for Middle East Policy’spetition calling on the Egyptian government to repeal the unconstitutional Article 178 of the Penal Code, which allows for the prosecution of any creator of a text or artwork judged to be “against public morals.” Throughout his ordeal, Naji has insisted that he does not want just a suspended sentence or acquittal for himself, but a total repeal of the law so it cannot be used to target anyone else again.